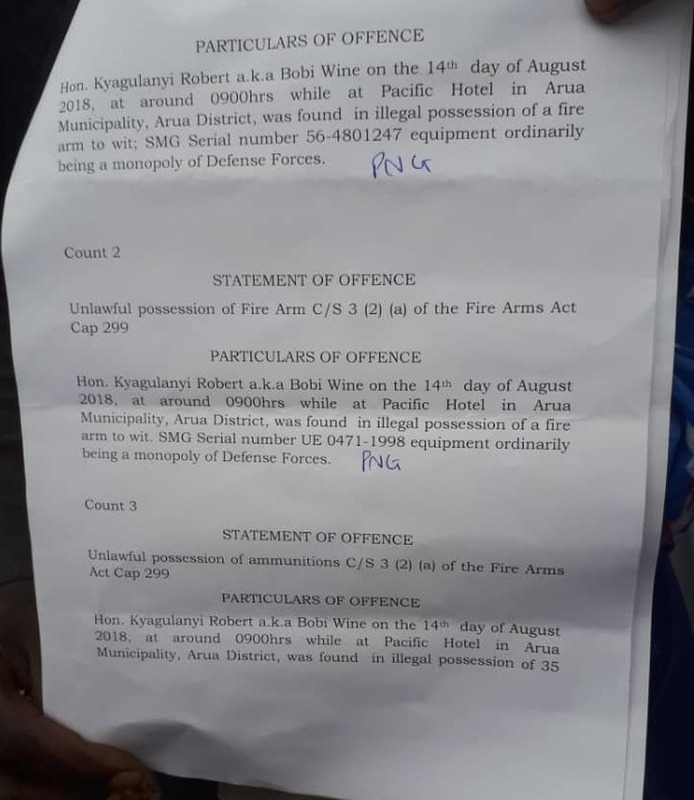 MAKINDYE – Kyadondo East Member of Parliament Robert Kyagulanyi, alias Bobi Wine, who was on Thursday charged with unlawful possession of firearms and unlawful possession of ammunition by the army court could not talk or walk by himself following torture in army custody, his lawyers have said. 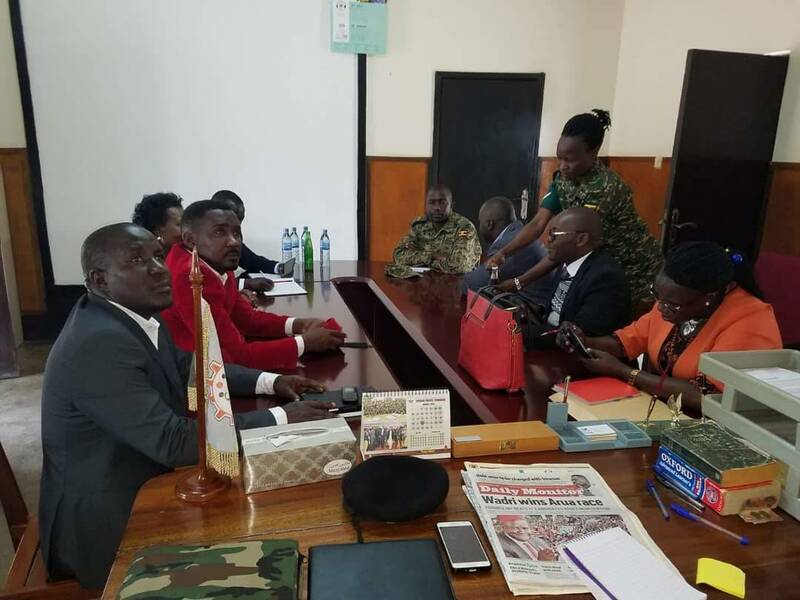 Addressing journalists after the court session in Gulu Town on Thursday afternoon, his lawyers Medard Segona and Asuman Basalirwa, who were the only civilians allowed in the court, said Bobi Wine was very poor health and seemingly unaware of what was taking place in the court since he remained silent when the charges were read to him. 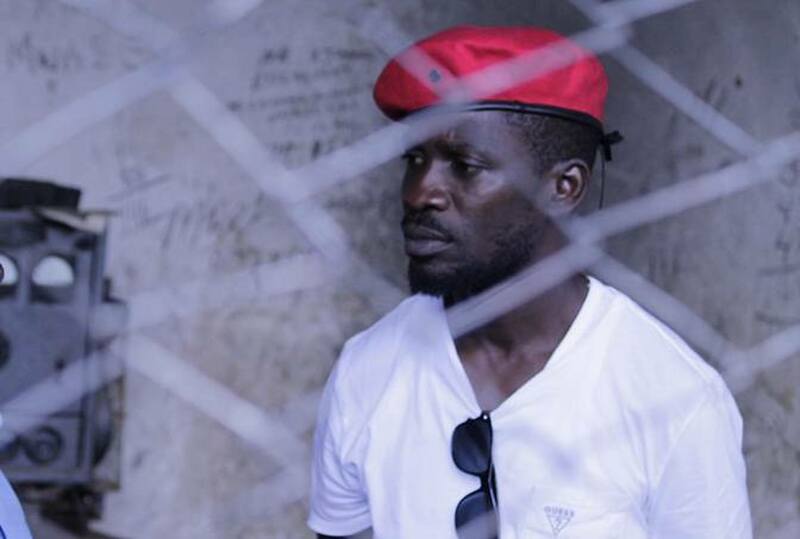 “Mr Kyagulanyi is in great pain, he can’t talk or walk; he sits with a lot of difficulties, his face is swollen and cannot see because of the torture by SFC soldiers. He couldn’t speak when the charges were read to him and I believe he didn’t know what was going or understood the charges read to him,” Mr Segona said. He revealed that the military court rejected their requests to have Mr Kyagulanyi detained in a civil prison and not a military barracks. 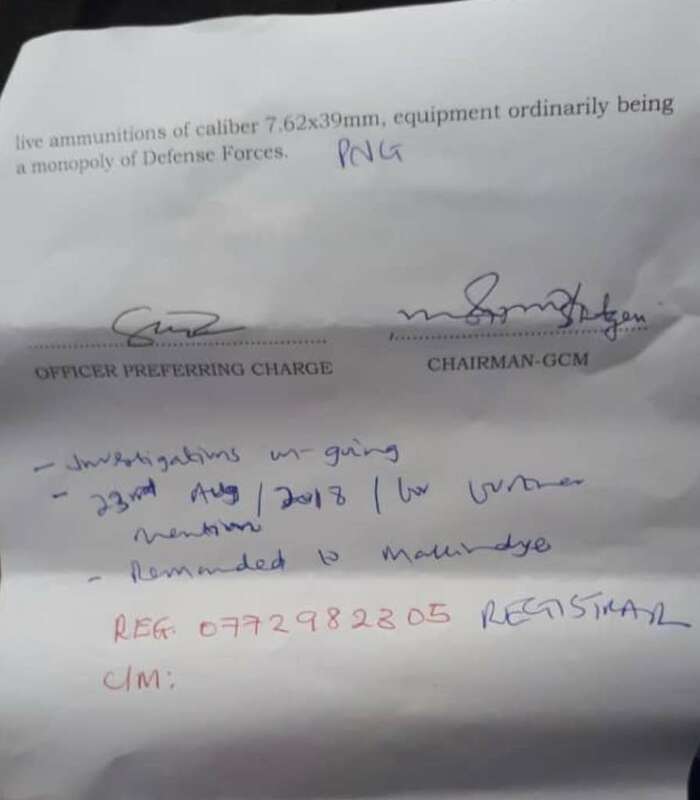 The army court, sitting at the 4th Division headquarters in Gulu charged also charged said Bobi Wine with illegal possession of 35 bullets of calibre 7.62-39mm equipment. He is expected back in court on August 23. 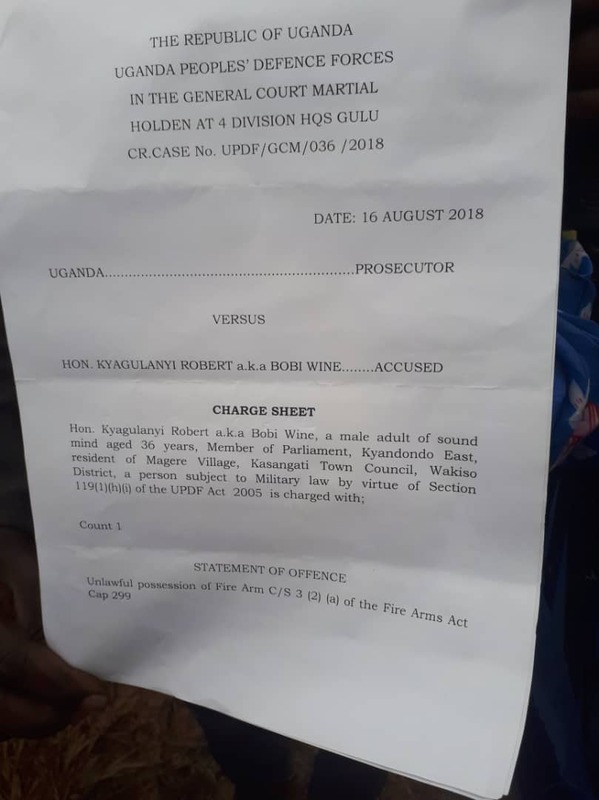 Mr Kyagulanyi was arrested on Monday in Arua Town along with fellow MPs and some residents for allegedly stoning one of the vehicles in President Museveni’s convoy.